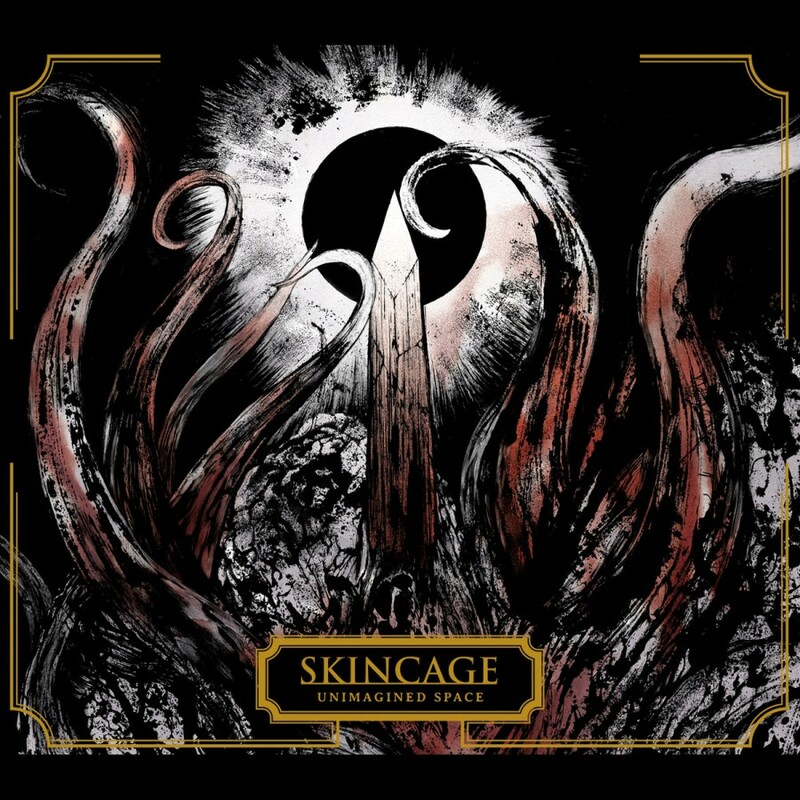 Skincage is a dark ambient project created by Jon Ray. The first album, Axon, was released back in 2000 on the sub-label, Malignant Antibody, of Malignant Records. Then in 2007 they released Things Fall Apart on the Belgian industrial label, Spectre. On Axon, Skincage was already showing their skill in sound design. Each track had a unique feel. Some with relaxing drones, others thick with instrumentation, vocal samples, and industrial carnage. Things Fall Apart brought Skincage closer in line with their latest release, having a bit more restraint and an overall darker atmosphere. Yet, after Things Fall Apart, Skincage would not release another full-length album for a decade. In the intervening years dark ambient as grown into an exponentially larger genre. With the advent of Bandcamp, Youtube, Spotify, etc., and the greater access to digital workspaces, artists are able to realize their visions in a way and with a frequency never before imagined. In late 2017, Skincage stepped back into this world, releasing Unimagined Space. On Unimagined Space, Skincage channels the spirit of H.P. Lovecraft, and to a lesser degree Robert W. Chambers and W.W. Jacobs, for inspiration. Each track on the album focuses on a different story. Skincage is certainly not the first to find inspiration in century-old weird fiction, nor will he be the last. But, he does manage to make his contribution to the “genre” stand-out, if for no reason other than its attention to detail, and top-notch production quality. 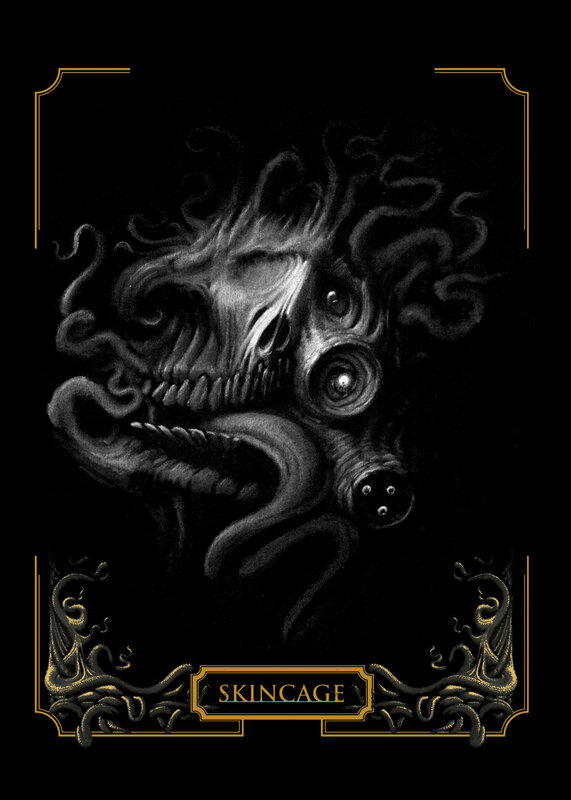 The opener “Lost Carcosa”, which is also my favorite track on the album, is an ode to The King In Yellow short-story collection by Robert W. Chambers. Originally published in 1895, The King In Yellow became an immediate success, quickly finding it’s way onto best seller lists around the western world. For those of us in this modern era that aren’t familiar with Chambers, this short story collection was re-invigorated after numerous mentions in season one of True Detective. On this opening track, we hear some truly exquisite sound design, what sounds like, possibly, heavily treated percussion in the background, with a repeating sample, sort of like a cross between a bass guitar and an alien race entering our atmosphere. As the track nears its close, we hear someone (possibly Jon Ray, himself?) recite one of the best (arguably) snippets from The King In Yellow, which was part of a fictitious song from a fictitious play, “Cassilda’s song” in Act1 Scene2 of “The King In Yellow”. Cassilda: It’s time. We have all laid aside disguise but you. Many of the tracks inspired by H.P. Lovecraft will likely be a bit more familiar to readers, as these are inspired by many of his most popular stories including: The Call of Cthulhu and The Colour Out Of Space, for instance. One point to mention in general about these H.P. 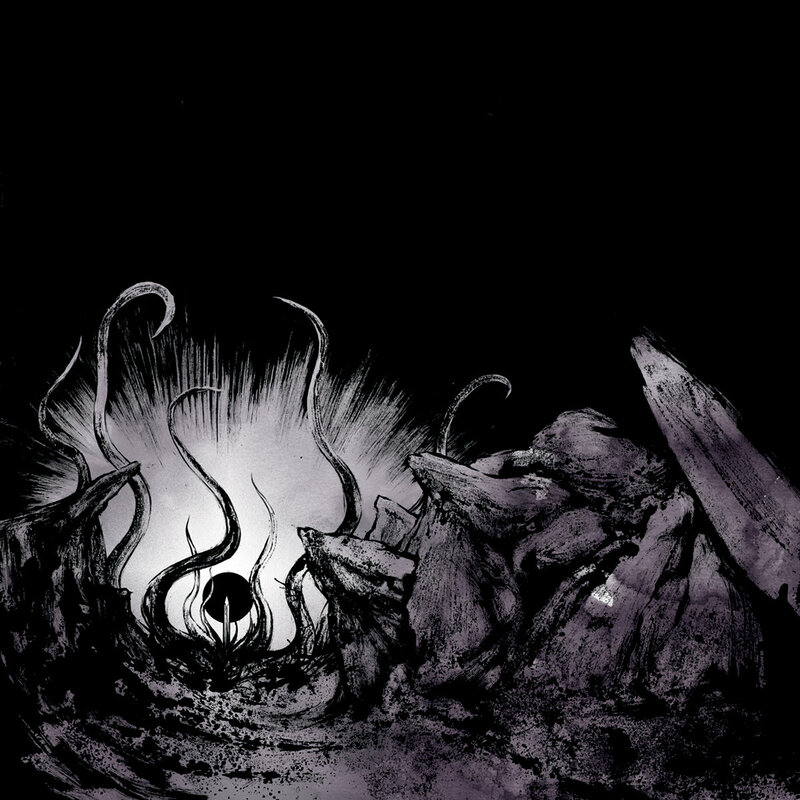 Lovecraft tracks, I found the music compellingly well crafted in association to the stories they conveyed. Many times I hear Lovecraft inspired tracks, which don’t necessarily seem to have any grounding in actual Lovecraft content. As if the track titles and themes were superimposed on the album at a later time. The tracks on Unimagined Space consistently allowed me to close my eyes and imagine scenery and narratives from these various stories. The two most glaring examples being the frigid, yet futuristic feel to “Cool Air” and the utter chaos of the album closer “The Music of Erich Zann”. This will be one of the most straight forward examples of dark ambient that you could find on the Annihilvs Power Electronix label, run by Lee Bartow of Theologian / Navicon Torture Technologies. Bartow is no stranger to working with Lovecraftian soundscapes, as he has been the main go-to artist for the brilliant and beautiful spoken-art on the majority of Cadabra Records‘ Lovecraft related releases. Annihilvs released Unimagined Space in 4-panel CD digipak. There are plans, and pre-orders being taken currently for a bundle of the release, featuring a t-shirt, CD-R, 7″ lathe cut single featuring a new track, and a limited edition cassette version of the album. Unimagined Space is a fantastic release. As I’ve stated previously, I’m really impressed with the production quality on this one. The weird fiction theme works out great, making it a wonderful companion to reading Lovecraft, Ligotti, or your favorite weird/horror author. The album art by Josh Yelle and André Coehlo is also quite impressive, which makes the t-shirt a great choice to accompany this release. I’ve been listening to this one a whole lot, since last fall and haven’t come close to getting tired of it yet. I’d recommend this to fans of dark ambient that is reserved, but still holds some activity and surprises, and also to anyone interested in Lovecraft related releases, this one is certainly top-notch.